French trotter Bolide Boy Honey, driven by the promising Jesmar Gafa, won the most important race on the card – the Copper Class San Franġisk Cup final – yesterday. 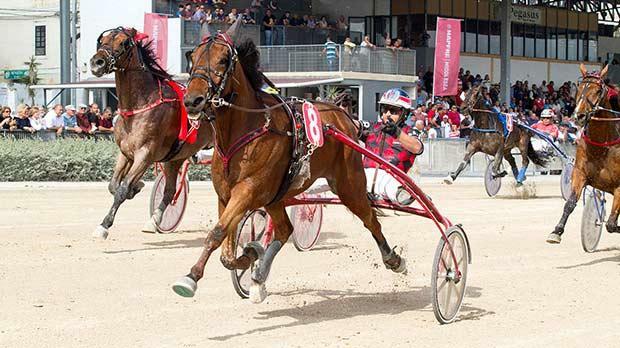 Held over a short distance of 2,140m, this race formed part of the 22nd meeting of the season that in all included nine races, all for trotters. There were nine starters for the final and, as expected, favourite Bolide Boy Honey set the early pace. After 500 metres, this horse had opened a small lead from High Handed (Tony Demanuele) and Meadow Dancer (Ludvic Ghigo). But, Bolide Boy Honey went unchallenged for almost all the distance to pass the finishing post first, some three lengths ahead of runner-up High Handed and third-placed Umbra Hornline (Charles Camilleri). At the end of the race, Ivan Carabott, club official, and Fr Mario Attard presented the winning shield and trophy to the proud owners of Bolide Boy Honey. For this trotter, victory yesterday was its third in a row. In the only Premier Class race on the card, held in conjunction with Mapfre Insurance, early leader Sensei (Noel Baldacchino) ran out of steam around 300m from home. In the final straight, Sensei was overtaken by Overtaker By Sib (Marco Refalo) which cruised to its fourth win of the year ahead of Nelson Derm (Anton Pace). Sensei was third ahead of Rocco Darche (Ludvic Ghigo). The winner clocked an average time of 1.14.9” per kilometre.